Another weekend, another Regional. We actually did a mostly solid job predicting this one, in a largely undefined format: most of our predictions were spot-on or very close, but there were two jarring exceptions, proving that no model is ever perfect - but suggesting a couple of changes we can make to even better predict the next event. I, for one, welcome our new trash overlords. ...and a four-way tie for 6-9: Alolan Ninetales-GX (-1), DeciPlume/Alolan Ninetales-GX (+4), Garbodor/Trevenant (✓), and M Rayquaza/Metal (+2). There wasn't even a 10th archetype in Top 32. We were dead-on in our prediction of Garbodor/Big Basics as by far the biggest deck in Seattle. 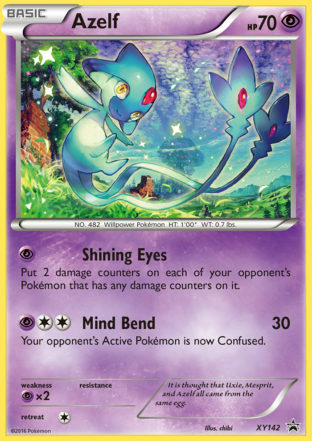 We also got Garbodor/Trevenant right at #6, and Garbodor/Espeon-GX was only a spot off (#2; predicted at #3). 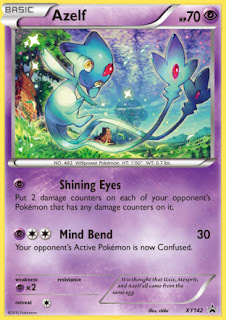 Other sound predictions: Alolan Ninetales-GX being a middle-of-the pack contender at #6 (predicted #5), and M Rayquaza/Metal also in there in the tie for #6 (predicted #8). We also predicted the resurgence of WaterBox, although it actually performed better than expected, as Israel Sosa piloted it all the way to a Top 8 finish. As for DeciPlume, our model was a bit harsher on it than reality, although the deck still did not perform as well as I think many players were expecting, judging by some comments on Twitter and Facebook. We were correct in predicting both the original variant and the new Alolan Ninetales variant to be part of Top 32, with the original exceeding the Ninetales variant in Meta Share. Of course, with every discussion of what we got right, I've got to talk about what we got wrong, too. Unfortunately, the model we used predicted two decks to be among the top 5 contenders in Seattle, but in reality, both of these decks failed to even make Top 32. Observers of the Power Rankings will note that these are both Water-type decks using one-Prize attackers: Greninja BREAK and Gyarados. We predicted them at the 2nd-most-successful and 4th-most-successful decks, respectively, which could not have been farther from the truth. Greninja is a bit easier to explain. The deck is still considered inconsistent - most of what it gained from Guardians Rising (Choice Band, Field Blower) make the deck more powerful, not more consistent. Although Greninja was in fact the second-most-successful deck at League Cups the week prior to Seattle, it remains just that - a "League Cup deck," which has the potential to perform very well at small events but lacks the consistency to do well at large events, at least for now. We should have caught onto this and reprogrammed the model accordingly. The hot tech of the weekend? Gyarados, on the other hand, is an inherently powerful deck that has consistency but is extremely susceptible to techs designed to counter it. We saw Sammy Sosa appear on stream in the first round of the tournament, playing this deck, and it looked like he was in a good position for the rest of the day. What we didn't know, however, was the amount of people who would be teching Gyarados counter cards, primarily Spinda PRC and Azelf XY142. Gyarados was actually considered one of the top decks going into this Regional, and evidently it was feared enough that people made specific efforts to counter it. The deck simply can't deal with the sudden board wipe that Spinda or Azelf provides, even with new options like Rescue Stretcher. We'll be keeping an eye on League Cup results (and checking in with the experts) to see if Gyarados might stand a chance at Madison and Birmingham next weekend, or if it's mostly gone for good. So what should we be looking for at the next set of Regionals? 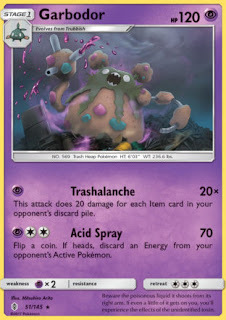 Garbodor is still probably going to be big, but what really needs to be carefully considered is decks that have good Garbodor matchups. Vespiquen is a clear example, considering Jeffrey Cheng's second-place finish at Seattle; Israel Sosa also claimed that his WaterBox deck was 50-50 or slightly favorable against Garbodor. The Charizard Lounge's Andrew Wamboldt has recently posted about a couple of decks he feels have strong Garbodor matchups, namely Solgaleo-GX/Rayquaza and Umbreon-GX/Zoroark BREAK, so go read up on those if you're having trouble defeating the trash can man. We'll look to have the Power Rankings updated by Wednesday to allow readers a few days to test our top predictions for Madison and Birmingham. If you'd like to see more interesting stats and factoids regarding Seattle Regionals and our new garbage overlords, take a look around the site, and then be sure to follow us on Twitter @PokeStats_TCG. It seems like PokeStats is really starting to become a bigger part of the competitive community in terms of providing live coverage and statistical analysis, and I'm excited to see where this goes!